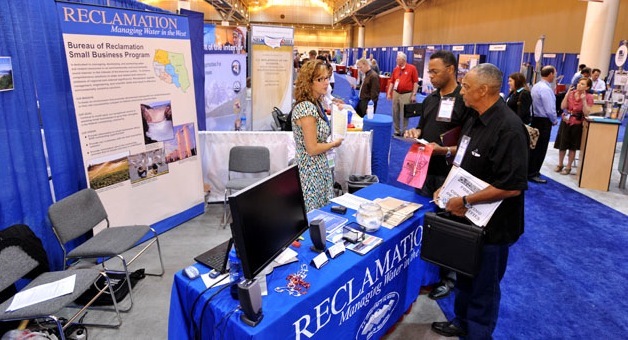 Last year I had the privilege to walk the halls and conference rooms full of entrepreneurs at last year’s National Veterans Small Business Conference. The place was a mix of enthusiastic young self-starters and seasoned businessmen and women looking to expand further. It should be no surprise they all shared intense focus and drive. Even in the early morning, the conference rooms were abuzz with discussion about recruitment, capital, and investment. All with the backdrop and common vernacular of life in the military. This year’s conference is fast approaching. The event goes down in Detroit June 26-29, and registration is now open. If you own a business or looking to start one, business and government leaders will be on hand to discuss everything from federal procurement to VA’s process to verify disabled Veteran-owned businesses. Take a look at agendas from past conferences to see what might be in store this year. For Veterans looking to step up visibility of their businesses, an expo hall is also available. It’s a good way to show off new products and build relationships with the folks you’re trying to reach. I don’t know much about how business works, but I learned a few things when I came away from last year’s conference. I have a basic understanding of the federal procurement process, and learned a bit about the challenges of hiring Vets in the workplace. If your business is nationwide or just sketches in a notepad, consider a trip to Detroit this June. You’ll come away with something valuable. How can GE be represented here, when they are the shining example of corruption? All veterans have pledged their lives to this country and the VA has the nerve to put them in the spotlight.GE has used every loop hole imaginable and has the nerve to put themselves out there as an American business. They have taken American jobs and taxpayer’s money and the VA shoves that in our face.